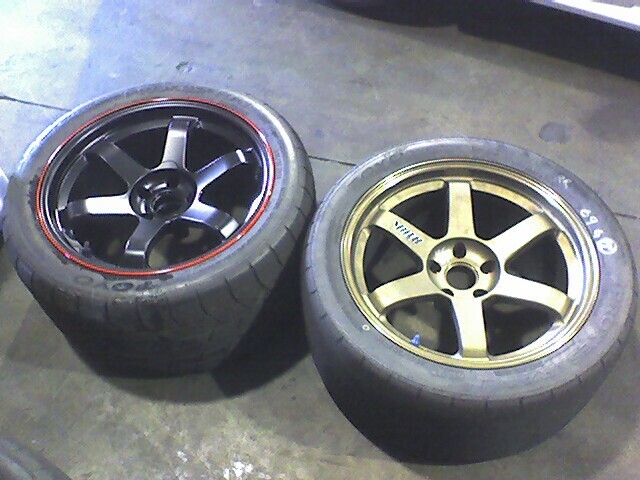 On the left, the black/red Volk Racing Time Attack TE37 in an 18 x 11 with a Toyo RA1 mounted. On the right the bronze Volk Racing TE37 in an 18 x 10.5 with a Toyo 305 mounted. It is fairly dramatic how much taller the 305 looks on the 11 inch rim.